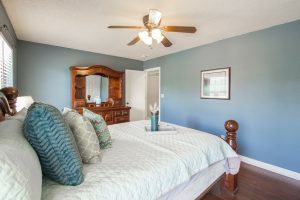 There are many things to consider when you are getting your house ready to sell. 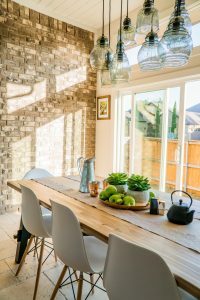 While the entire process can be incredibly overwhelming, there are some quick and easy steps that you can take to make your home more desirable to its new owners. Take care of these 10 items and your home will sell for sure! Prospective buyers want to see what it is they are buying. Be sure that all of your light bulbs are working, consider getting higher wattage bulbs, and be sure to have backups on hand. All of your lights will be on for longer periods of time and you don’t want to have to rush to the store every time a bulb goes out. Along with making sure all of your bulbs are lit, you will also want to get rid of anything that blocks natural light from coming in. Clean all of your windows inside and out and deep clean all of your blinds. Allowing as much natural light into the house will help your spaces feel light, airy, and welcoming. Remove knickknacks and excess decoration, clear off surfaces of any unnecessary items, and only keep essentials out in the open. Your kitchen and bathrooms should still function, but keep them clean and organized without unnecessary items out and about. While you’re reducing clutter, avoid leaving any personal items out. Family pictures, taste-driven decorations, as well as personal artwork and mementos should either be put up or placed into storage. You want to be sure that your potential buyers can visualize their family in the space. If you haven’t done it in a while, it’s time to break out the paint brushes and spruce up your walls. The goal is to create a fresh canvas that your potential buyers can easily see remaking into their own. Light colors such as white, gray, and beige will freshen up the walls and create that blank canvas feeling. Pay special attention to baseboard, doors, and cabinets and cover up any scuffs or scratches. 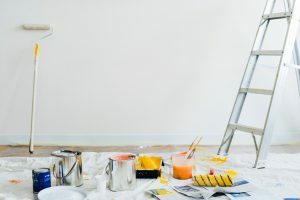 While doing a full-on renovation is very costly, there are many small upgrades that will bring you a dramatic return on investment. Freshen up the cabinets, repair or replace any broken cabinets, upgrade the hardware, and consider upgrading one or more appliances. If you can’t replace the countertops or backsplash, make sure that they are clean and sparkling. Many people buy a home for the kitchen alone, so if you’re going to spend any money, spend it there. Consider removing any unnecessary clothing items and shoes from your closet spaces to make them feel larger. By removing excess jackets, unused formal wear, and out of season clothing, you reduce the number of items in the closet and highlight the amount of storage space within the home. Your house is likely one of your most valuable assets, don’t hand over the reins of the sale to just anyone. Be sure to do your research on your real estate agent and confirm that they know about your market and the comparable homes in the area. Be sure to find a real estate agent that is an expert in your area. It is imperative that you price your home appropriately. Another reason to vet your real estate agent is to have the most up to date information on comparable home values in your area. Your home will sell faster and likely at a higher price point if it is appropriately priced upon initial listing rather than after having several pricing changes. While your home is on the market, it must be ready to show 24/7. 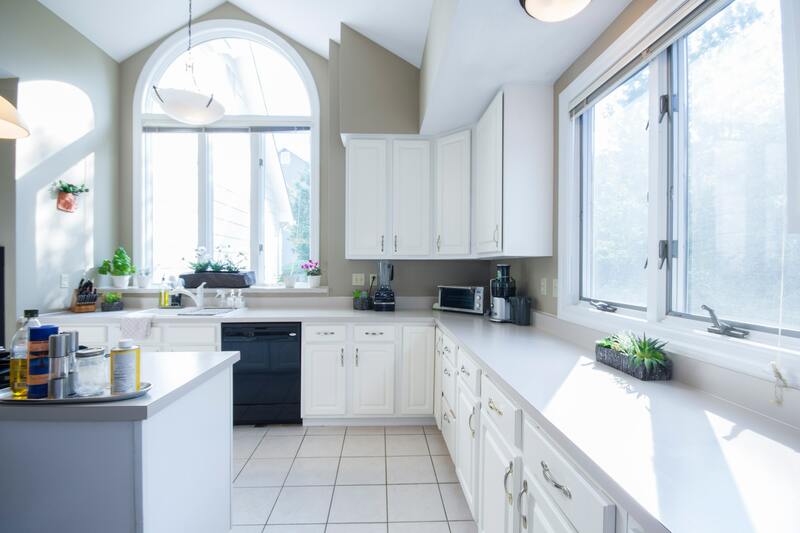 Your most important mission during open houses and home showings is to keep the house impeccably clean and organized. Keep antibacterial wipes handy and keep counters clear and de-cluttered. The old adage that you only have one chance to make a great first impression is true while getting your house ready to sell. Bushes should be shaped, the grass cut, and the trees trimmed. If you have flower beds, they should be newly mulched and weeds pulled. You won’t go amiss by cleaning up the paint and the shutters as well. Make sure that potential buyers have the absolute best first impression possible. Selling your home is a huge undertaking, but taking steps to prepare in advance of listing will make the process much smoother. Can you think of any additional steps that can be taken? Share them in the comments!